Okay, for any of you who have "bulges", Ruth explains how to ensure that your figure too can have long, loose lines. 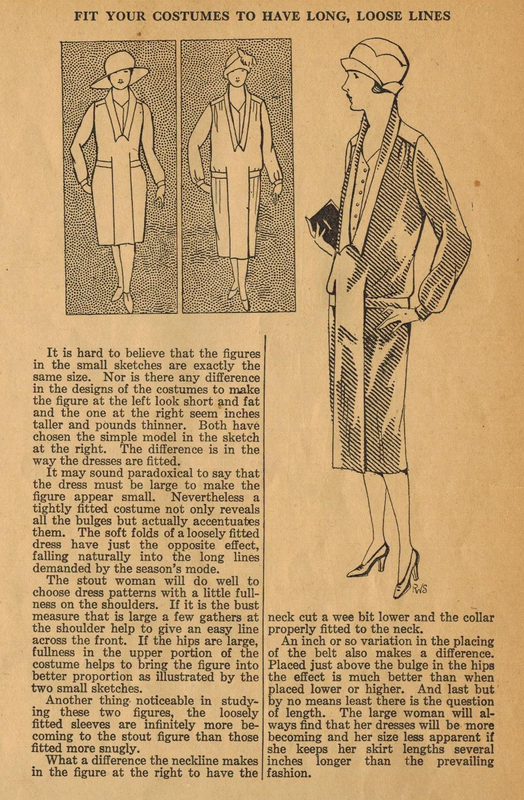 1920s fashion may have favored the slender or "average" figure, but Ruth finds a way for those with less-than-ideal figures to "look inches taller and pounds thinner". Sound familiar? It's the goal of many women throughout the decades!